The Theatre of Tennessee Williams brings together in a matching format the plays of one of Americas most influential and innovative dramatists. Arranged in chronological order, this ongoing series includes the original cast listings and production notes. 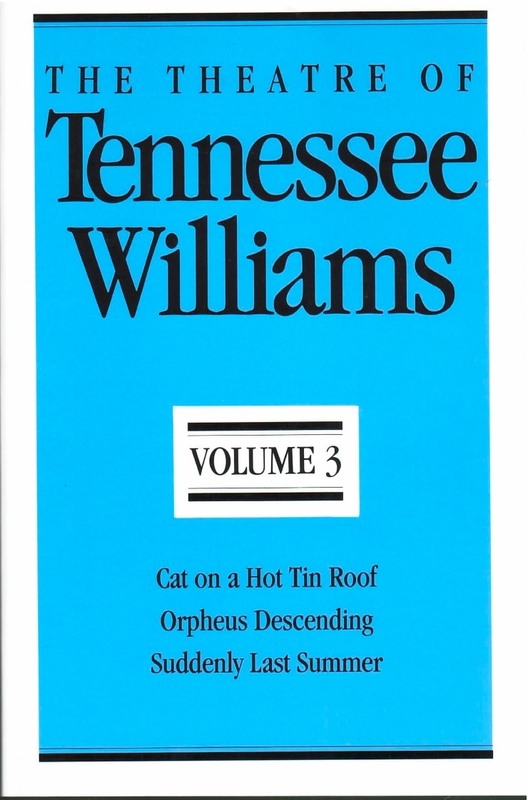 Volume Ill of the series includes Cat on a Hot Tin Roof (1955), Orpheus Descending (1957), and Suddenly Last Summer (1958). The first, which won both the Pulitzer Prize and Drama Critics Award, has proved every bit as successful as William’s earlier A Streetcar Named Desire. The other two plays, though different in kind, both have something of the quality of Greek tragedy in 20th-century settings, bringing about catharsis through ritual death.